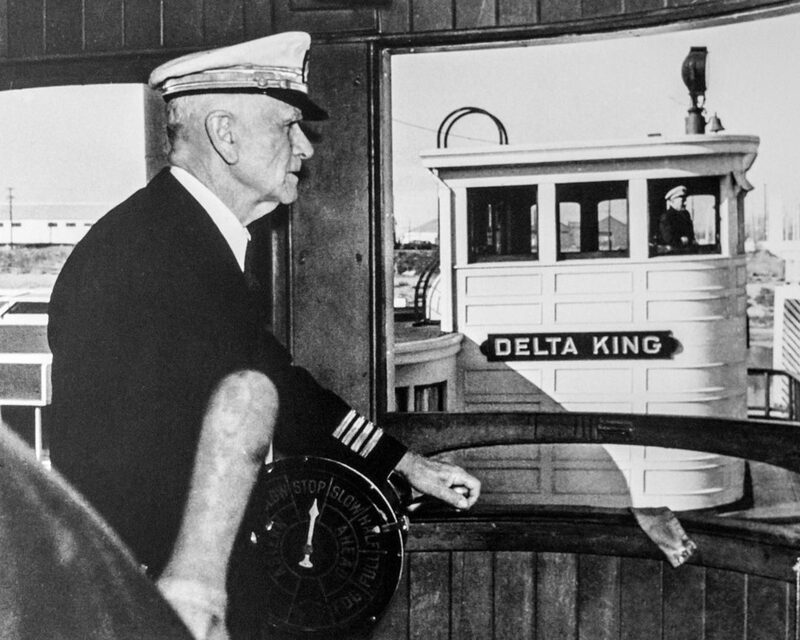 This photo, originally appearing at the Delta King Hotel Facebook page, shows a pilot inside the Delta Queen pilot house, looking across to a pilot inside the Delta King pilot house. In the beginning, both boats were on the Sacramento River. Following is the story of how the twin boats were assembled in Sacramento in 1926. My grandfather was a small man of 5 feet 4 inches with a strong physical makeup. According to family lore, he was an accomplished amateur boxer. Grandpa William spoke with a pleasant sounding Scottish brogue and his eyes would always light up in the presence of my father. William Simpson was John Jr. and Jane Vickers Simpson's third child. His original birth certificate reads, "name and surname - William Simpson, when and where born - io"July 1880 at 104 Upper Craigs Stirling Scotland, name and profession of father - John Simpson Jr. carpet weaver journeyman, mother's maiden surname - Vickers, date and place of parent's marriage- 1875 Aug. 27th Cockpen and Carrington Parish Church". Over the next fifteen years, William would live with his parents and a growing number of siblings at upper Craigs Street. His childhood home was in the shadow of the famous Stirling Castle. Records show William graduated from the High School of Stirling, located 5 blocks northwest of the Simpson's residence. 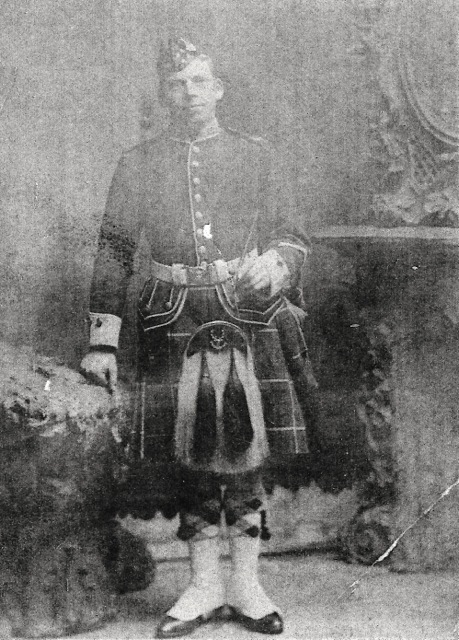 In 1896, William moved with his family to Paisley, Scotland. The 1901 census has him living with parents and 9 siblings on Greenock Street and working as a ship's carpenter. Greenock Street ran north from Paisley towards the Glasgow Shipyards. During this time, William met Jeanie Watson who lived around the comer from the Simpson home. William Simpson Paisley Scotland - 1905. 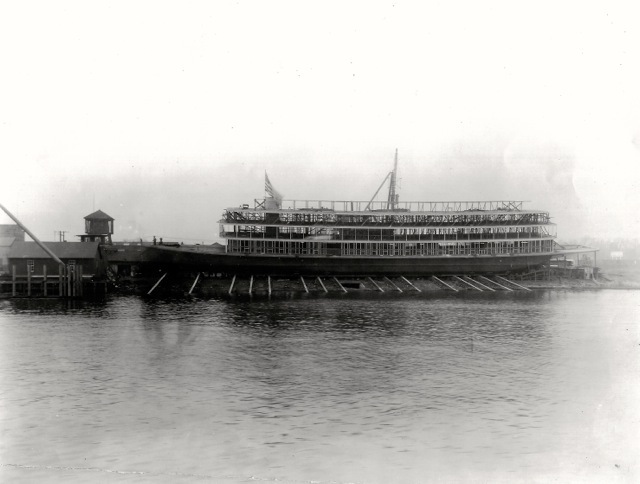 In June 1909, William traveled from Glasgow to Boston Massachusetts on the SS Laurentian. The Boston shipyards had an overflow of work and were looking for skilled workers. But missing Jeanie, William moved back home in 1911 and was living with younger brother George. In December 1911 Proclamation of Banns took place at North Parish Church. This was an old Church of England practice whereby marriage intentions were announced in front of the congregation. 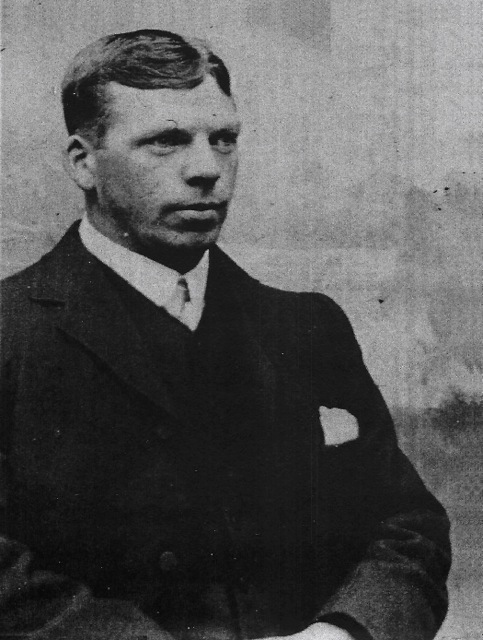 On 2 January 1912, William Simpson and Jeanie Watson were married by Minister George Park at Jeanie's Douglas Street home. The newlyweds moved to #4 Park Avenue and their first born children were twins. But sadly they died as infants with causes of death "Stomach Problems". During this period in Scotland, infant mortality was 1 in 5 from common diseases like measles or diarrhea. William and Jeanie's third child was born at 5:30 AM, May 10th 1917 and was name George after William's best friend and younger brother. By 1918, William Simpson had attained the title of Shipwright at the nearby famous Clyde River Shipyards. But after World War I, working in the shipyards was no bed of roses. Scotland suffered a steady economic decline with very high unemployment rates. The most skilled craftsmen, like Shipwrights, were especially hard hit because there were few alternative uses for specialized skills. In Paisley people organized rent strikes to fight dramatic rent increases. The cost of living went up, while shipyard wages remained static and bitterness spilled over into angry protests. The government rushed troops and tanks to Glasgow. Seeking a better life for his family, William Simpson decided to move his wife and 6 year old son to Oakland, California, where the company he worked for in Boston was now building ships. 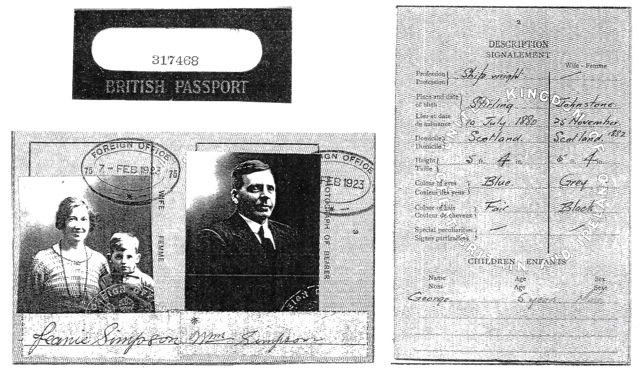 British Passport - 1923 William, Jeanie, and son George. On 31 March 1923, the Simpson family departed from Glasgow on the SS Columbia and arrived in Boston, Massachusetts on 9 April. Their first stop was at the yellow brick immigration station on Marginal Street, often referred to as Boston's Ellis Island. After clearing the immigration inspection, William, Jeanie and little George traveled by train to Oakland. The Simpsons became renters at 667 63rd Street and, over the next six years, Williams was able to find work as a shipwright. 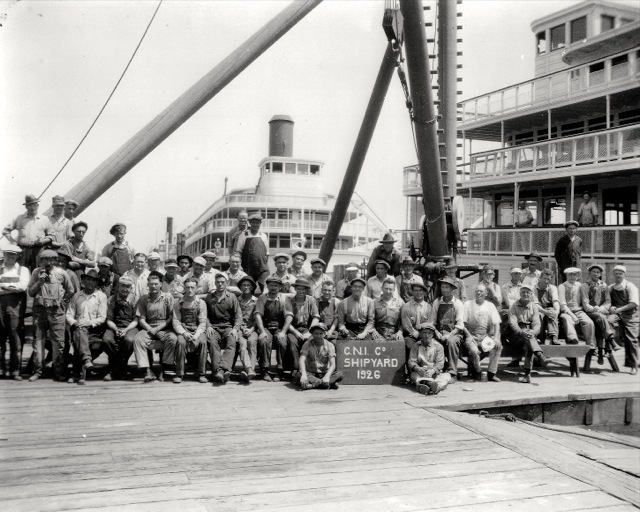 In 1925 and 1926, William Simpson supervised a crew of over 40 that built twin 285 foot long paddlewheel riverboats, the Delta Kings and Delta Queen. William Simpson and the crew he supervised in building the Delta Queen and King. William is standing in the back row, on the far left, with a round brim hat on. Shipwright William virtually had no permanent job as employment was dependent on contracts to build specific ships. So shortly after acquiring his Certificate of Citizenship, on 2 June 1930, William landed ajob working for the u.S. Post Office. He would work at Oakland's main post office for 12 years. Jeanie also became a U.S. Citizen and, in 1936, the family moved to a 3 story apartment building overlooking Lake Merritt. Jeanie became the live-in manager. During World War II and with leave from the Post Office, William became a shipbuilding inspector for the U.S. Government. He participated in shakedown cruises performed before a ship entered service. William never returned to the Post Office and retired when son George arrived home from service in the South Pacific. Jeanie Simpson was diagnosed with cancer and passed away at home on 12 April 1948. By 1950, William was showing symptoms of Alzheimer's disease and moved in with our family in San Leandro, California. By 1952, my father was struggling over finding a specialized care facility for my grandfather William. After consulting professionals, a nursing home in Santa Clara was selected. In the early morning on 12 July 1956, George was summoned to his ailing father's bedside. When he entered his father's room, William said "Hi Geordie". This was the first time in almost a year that William had recognized his son. William Simpson passed away late that afternoon. My father would eventually become the vice president of a well-known life insurance company, fulfilling William Simpson's 1923 vision of the American Dream. I'm looking for any information on my grandfather, William Simpson, or the crew that built the Delta Queen and King. I have the basic facts, but specifics about the building or pictures would also be relevant to my interests.